Greg Burgess and Riley McShane of Allegaeon are our guests this week. We discuss the making of the band’s new album Apoptosis, how the addition of bass player BooBoo Money (Brandon Michael) changed the dynamic of the record, how Greg almost went the classical guitar route before becoming a metal lifer, the lyrical topic Riley wishes he could tackle for the band, which band member put the kibosh on covering Armored Saint, the curse of Applebee’s that has long haunted Allegaeon, and Riley’s hot take on season three of True Detective. Petar and Brandon hash through our listeners’ reactions to last week’s discussion about EPs, Chris Fehn’s lawsuit against Slipknot, and Slayer and Primus potentially making magic happen together on tour. 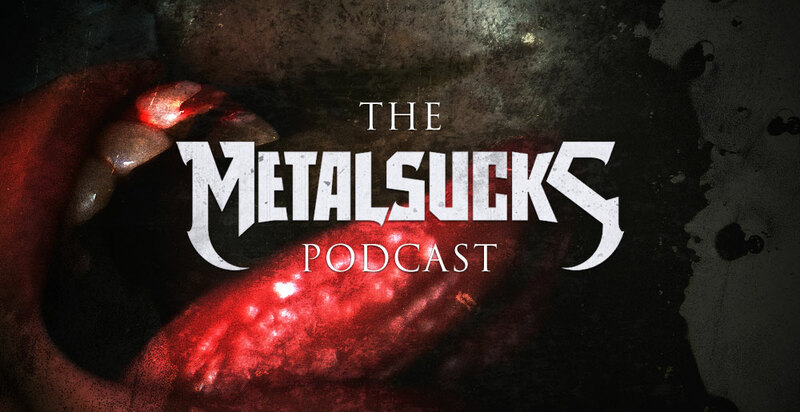 The post Allegaeon Guitarist Greg Burgess and Vocalist Riley McShane on The MetalSucks Podcast #281 appeared first on MetalSucks.